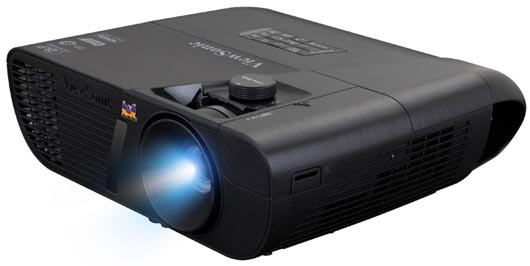 ViewSonic Corp. introduces the Pro7827HD as newest addition to its LightStream™ entertainment projector family. The ViewSonic Pro7827HD is the first in the LightStream line to feature a RGBRGB 6-segment colour wheel, powered by ViewSonic’s SuperColour™ technology providing detailed pictures and brilliant colour gradient coverage. SonicExpert™, ViewSonic’s proprietary sound enhancement technology, powers a 10W speaker to deliver incredibly clear and audible sound. Along with ISF™ certification for colour optimization and five viewing modes, 2200 lumens, and vertical lens shift, the Pro7827HD can create a cinematic experience in any home.